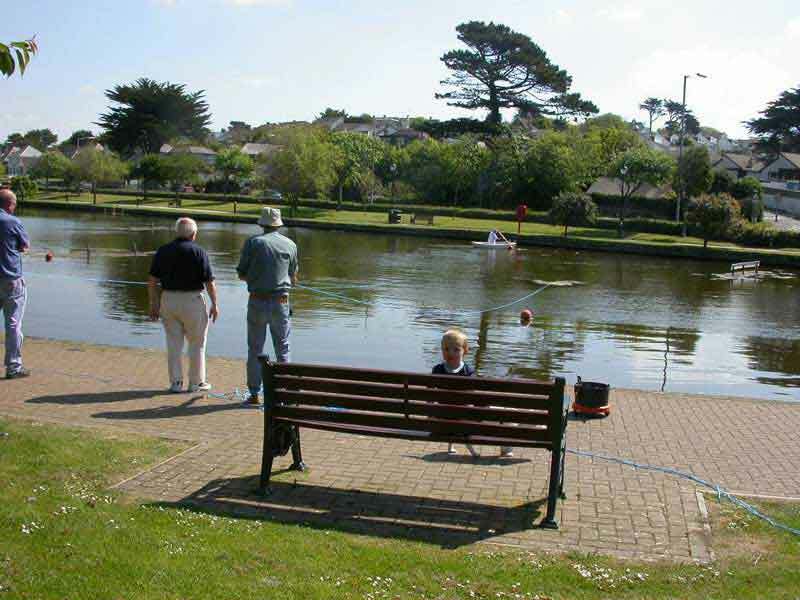 We sail on Newquay's Trenance Boating Lake which is situated on the southwest approach to Newquay. 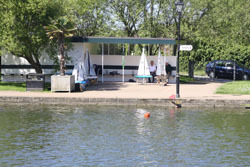 Whilst model boats can sail anywhere on the lake, the Club generally uses the southern end. 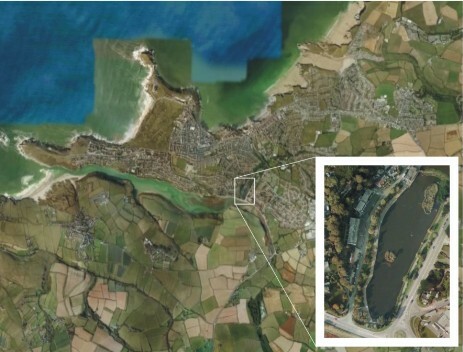 This is where the buoys for racing marks can be seen. During the summer the hire boats for the trippers tend to use the more northerly area, above the island. Parking is not really a problem in off/shoulder seasons but in high summer it can be a bit more difficult. 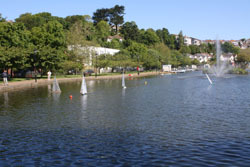 One-Metre sailing/racing takes place on Sunday and Tuesday mornings. Click on image for larger version. Click to return.